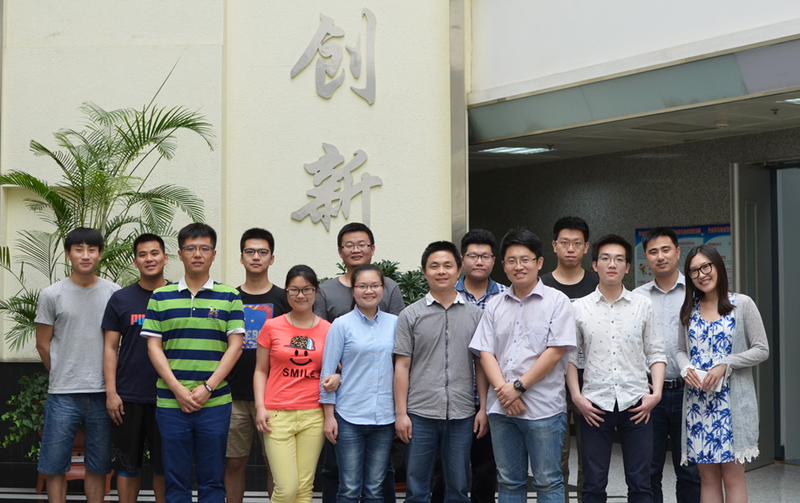 Technical Institute of Physics and Chemistry (TIPC), Chinese Academy of Science (CAS). No.29 Zhongguangcun East Road, Haidian District, Beijing, China, 100190. 2003-2004, Alexander von Humboldt Fellow, Max Planck Institute of Colloids and Interfaces, Potsdam, Germany (with Prof. Markus Antonietti and Prof. Charl F. J. Faul). 2004-2005, NIH Research Associate, National Institute for Nanotechnology, NRC & University of Alberta, Edmonton, Canada (with Prof. Hicham Fenniri). 2005-2007, Research Associate, University of Arkansas, Fayetteville, AR, USA (with Prof. Z. Ryan Tian). 2007-2009, Research Associate, University of California, Riverside, CA, USA (with Prof. Yadong Yin and Prof. Yushan Yan). 2009-present, Full Professor, Key Laboratory of Photochemical Conversion and Optoelectronic Materials, Technical Institute of Physics and Chemistry (TIPC), Chinese Academy of Sciences (CAS), Beijing, China. Published 139 papers in refereed SCI journals, including 10 in Adv. Mater., 5 in Adv. Energy Mater., 2 in Adv. Funct. Mater., 3 in Nano Lett., 8 in Angew. Chem. Int. Ed. and 3 in J. Am. Chem. Soc. "Rational design and controlled synthesis of nanostructured photocatalysts for efficient solar fuels", 18th China Association for Science and Technology Congress, Xi'an, China, September 25, 2016. "Rational design of nanostructured photocatalysts for efficient solar fuels", 6th International IUPAC Conference on Green Chemistry, Venice, Italy, September 7, 2016. "Solar photocatalysis for the conversion of C1 chemistry", The 15th National Conference of Solar Energy Photochemistry and Photocatalysts, Jinan, China, August 21, 2016. "N-doped carbon based highly efficient ORR electrocatalysts", The 10th Polymeric Nano-functional Materials Forum, Beijing, China, August 17, 2016. "Photocatalysis based on semiconductors for the conversion of solar energy to chemical energy", Anhui University, Hefei, China, July 19, 2016. 2016, Prize for Outstanding Young Scientist in Photochemistry and Photocatalysis. 2015, 45th IUPAC World Chemistry Congress 2015 - Young Chemist Travel Award (IUPAC). 2014, "Hundred Talents Program" Terminal Evaluation-Outstanding. 2013, 44th IUPAC World Chemistry Congress 2013 - Support for Young Chemists (IUPAC). 2013, "Excellent Young Scholars" of the National Science Fund. 2012, National Program for Support of Top-notch Young Professionals. 2011, "Best Oral Presentation Awards" at 13th National Youth Conference on Catalysis. 2010, The 2nd Searching for Young Science Star, Silver Award in the Field of Material Science. 2010, "Hundred Talents Program" Scholars of Chinese Academy of Sciences. 2003, Alexander von Humboldt Fellowship (Germany).